bioltec systems GmbH is a Germany based engineering company founded in2004. With bioltec “GREENmyGENERATION” we offer innovative overall solutions in renewable energies: Holding several international patents our experts develop and applicate the unique bioltec product lines and provide consulting services and training programs – from customer-specific special applications to international field tests and OEM projects. bioltec operates internationally in Austria, Switzerland, Ireland, Spain, France, the Netherlands, Denmark, the Czech Republic, Italy, Great Britain, Brazil, Colombia and The Bahamas. Throughout 12 years’ experience carrying out solar PV projects, not only in Europe but also in Africa and the Middle East, SUNfarming has realized that education, sustainable job creation and food security are essential factors that should be included in the solutions. That is how SUNfarming Food & Energy was born. This initiative consists of the combination of high-quality PV systems and food production through modified newly developed solar greenhouse constructions and free-field PV systems, which can be used to grow vegetables, fruit and flowers. 700 Islands Energy is a renewable energy development company focused on reducing energy expenses and carbon emissions within the nation of Bahamas and the greater Caribbean region. They own and operate the largest Biodiesel refinery in the Caribbean in partnership with Bahamas Waste Limited, the Bahamas’ premiere, and publicly traded waste collection company. The refinery is located in Nassau on the Bahamas Waste campus. Bahamas Sustainable Fuels, the partnership entity produces and distributes locally produced high-quality Biodiesel for use as renewable fuel for transportation and power generation. The goal of 700 Islands Energy is to reduce the cost of energy and emissions to improve and expand the quality of life for the people of the Commonwealth of the Bahamas and the greater Caribbean region. Windsor High School at Albany provides a rare academic and athletic upper secondary school experience. Located on the island of New Providence in the Bahamas. 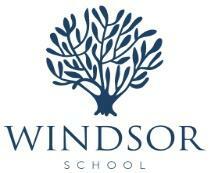 Windsor High School I an institution for learners aged 14-19 years old who are ready to challenge themselves to be the best they can be. As a registered Cambridge school offering IGCSE and A Level programs and qualifications. Windsor helps learners develop a passion for knowledge while givin them the opportunity to earn a high-quality internationally recognized education. The goal of the Hybrid Center Project is to instruct and demonstrate on the topics of SUNfarming Food & Energy and bioltec GREENmyGENERATION in an alliance with local entities to create the conditions for the development of an economic model. Based on this, an expansion of the system and its commercial use can be achieved through know-how and technology transfer aligned with the economic and political frameworks of the country. Alliances that will provide training to local inhabitants in the area of agriculture and our Hybrid Systems (solar PV, renewable mobility as well as cogeneration) using high quality German material and standards. Contribution to the development of the agriculture and renewable energy sectors, with a focus on job creation especially in developing countries. Create a safe investment environment with the purpose of accessing international financing. Collect information on specific production conditions in the local market. Plan projects for investment in Hybrid Systems for larger commercial use. Provide German technology and know-how in energy and agricultural technologies as well as know-how in the management of material flow. Involve local communities and municipalities in the investment. Become a partner of SUNfarming and bioltec. This is how we seek to lay the groundwork for future investments and joint ventures between our companies and local communities in your country. The dena RES Project Hybrid Center Bahamas is part of the worldwide dena Renewable Energy Solutions Programme coordinated by the Deutsche Energie-Agentur (dena) – the German Energy Agency – and supported by the German Federal Ministry for Economic Affairs and Energy (BMWi) within the German Energy Solutions Initiative.